Tonight is the big night! The HUGE Under the Dome Premiere in Wilmywood baby! Thalian Hall will be starlit! The ENTIRE cast is getting a pass to get out of filming to walk the red carpet and attend the event!! That includes producers and writers too! Jack Bender, Neal Baer, Brian K Vaughan and of course Stephen King! ALL UNDER THE DOME TICKET WINNERS: CBS is insistent you must be in your seats by 6pm Thursday – OR YOU WILL LOSE YOUR SEAT! Don’t be late! What can you preview about her relationship with Barbie (Mike Vogel), since it seems like their paths cross fairly early on? 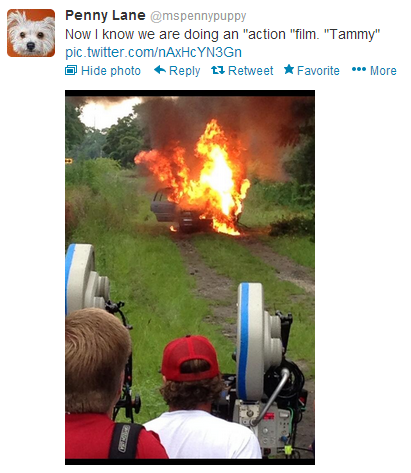 Yesterday I told you about the flames and explosions that were taking place on the set of Tammy. Well, Miss Penny Lane tweeted a photo of what went down. Today Melissa McCarthy, Susan Sarandon, Kathy Bates, Mark Duplass and Sandra Oh head to LA baby! Leland that is. They are off the the Leland House off Lincoln Rd. Eastbound and Down will be at two locations today. Just off N. Kerr Ave and at Market/Cardinal at Stevenson Direct. I caught up with the incredibly talented actor, Cullen Moss, after he did a stint this week on EBD, and did multiple scenes with Danny McBride. Pre-Production is going swimmingly for Sleepy Hollow and they are still accepting resumes for crew positions. There are just a handful of positions available, i.e. Set PA, Art PA, and possible assistant to the director. I am sure there are a few more, so go for it! BUT be prepared, I would highly recommend to apply ONLY if you are a night owl. I’ve heard there will be a lot of overnights shoots of this series. Get your resumes in: sleepyhollowseason1@gmail.com. As far as extras casting goes, there is speculation, but there is no official word on who has signed on the dotted line for that position. I will be able to reveal that to you in the next 2 weeks. Production begins in late July! Bring it! Check out the latest promo for Sleepy Hollow that came out this week! That just about does it for me; I will have more Wilmywood updates for you tomorrow morning and every weekday morning at 7:30am & 8:30am LIVE on Sunny 104.5. Got Scoop? Email me: sheila@1045sunnyfm.com. Or message me on Wilmywood’s FB . Or just post your comments below! Until then, that’s a wrap! 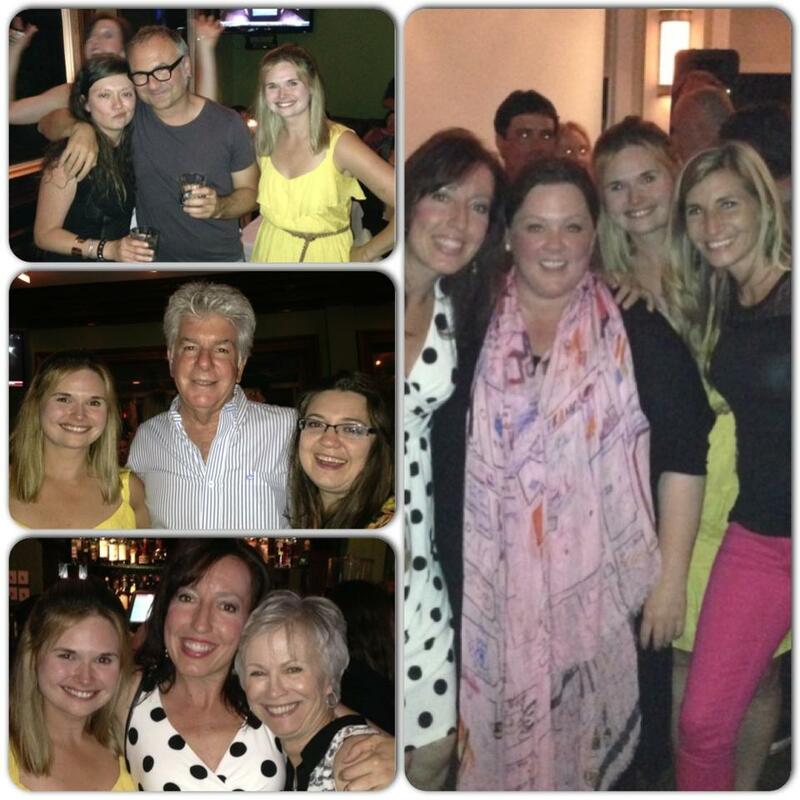 WHAT’S UP IN WILMYWOOD – 06/17/2013 Props Dept Girl gets A-list Cheering Section! More Stars in town! More UTD Premiere Tickets! And so much more! 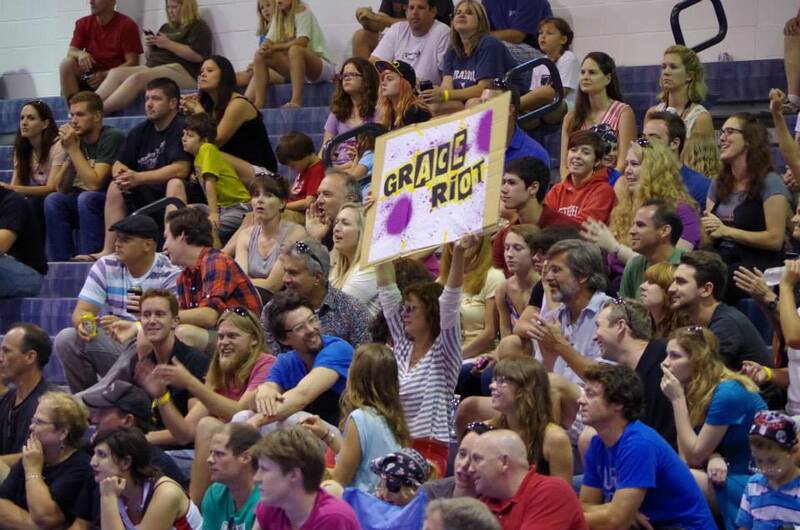 Susan Sarandon roots for Grace Riot of the Cape Fear Roller Girls. Where were the cast and crew of Tammy over the weekend? Well, it started at the Roller Derby at the Schwartz Center! Yep, Marci Perry aka Grace Riot, who works in the props department on the comedy Tammy, is also a Cape Fear Roller Girl. And all the action was not only on the track, but in the stands as well! It was like an LA Kings game! A movie creates a family, and these big time Hollywood players were there for one thing. To root Marci Perry on! Susan Sarandon, Kathy Bates, Gary Cole, Mark Duplass, Executive Producer Chris Henchy and his lovely wife Brooke Shields! And with all that star power rooting on our Roller Girls, they took it home for the win! 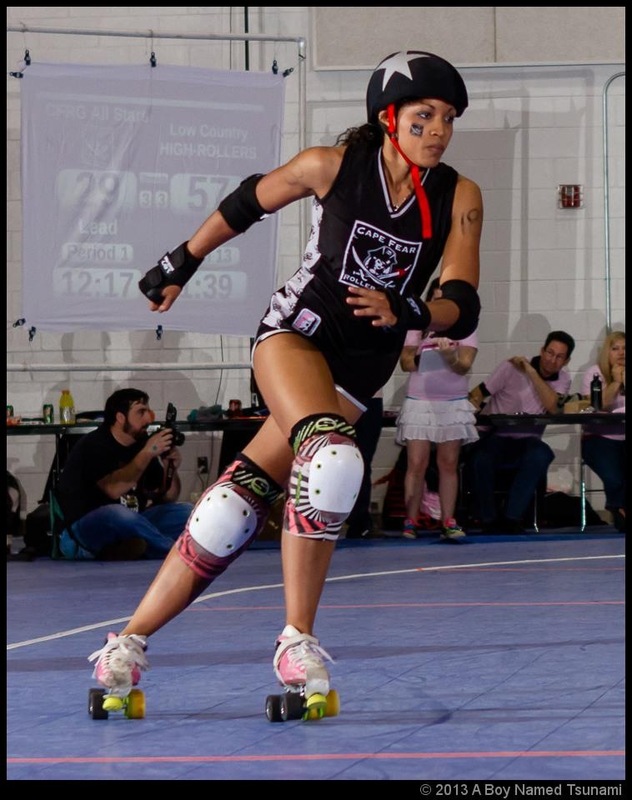 A HUGE a shout out to Lori Harrison aka Miss Ill Crisis as scoring the most points during the bout! Tammy Wrap Party. Photo Courtesy of Meredith Jackson. After the Derby, they all headed to the Blue Water in Wrightsville Beach for the wrap party! The top floor was graced with some great times with some great people! The ticket giveaway went incredible on Sunny 104.5 this past Friday for the big Under the Dome Premiere, What, you didn’t get tickets? Well, dangit, I guess I should giveaway another pair! That’s right, all hope is not lost! The only way in is to win, so log on to 1045sunnyfm.com and register to win RIGHT NOW! We will draw the next lucky guy or gal Wednesday! See you on the red carpet. I was told that CBS is granting me with an interview with Jack Bender, the Executive Producer of Under the Dome. He was also the EP’s for Lost. If you got a question for him, submit it now! Also in town courtesy of Swirl Films, (as reported last week) is Rudy Huxtable, I mean Keshia Knight Pulliam AND freshly off the film Frat Boys that was shot here not long ago is Lil Romeo in “The Love Letter.” Oh and did I mention Jackee Harry? LOVE HER! Woo, we got some fun loving stars up in ILM!! 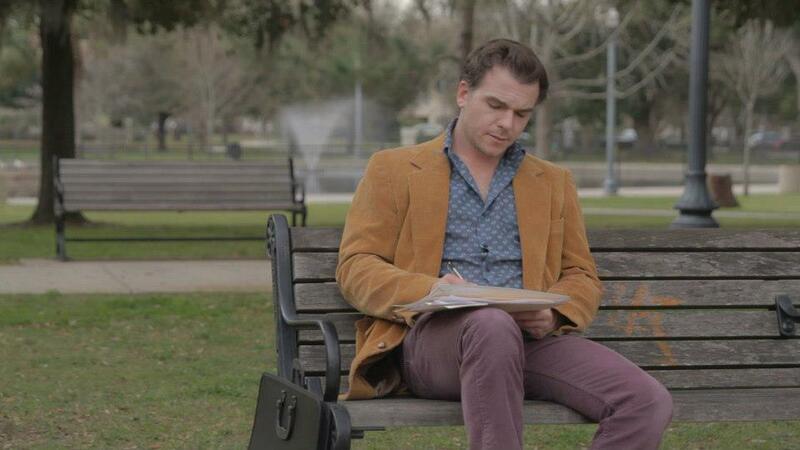 The cast and crew will be back at Bi-Centennial Park possibly today, but definitely tomorrow just off 5 th St. Finally your next MULLET ALERT! Eastbound and Down continues with their antics at the Cameron Arts Museum and Oak Grove Presbyterian Church on Carolina Beach Road today. That just about does it for me; I will have more Wilmywood updates for you tomorrow morning and every weekday morning at 7:30am and 8:30am LIVE on Sunny 104.5. Got Scoop? Email me: sheila@1045sunnyfm.com. Or message me on Wilmywood’s FB . Or just post your comments below! Until then, that’s a wrap! Just 24 hours until the HUGE Under the Dome Premiere ticket giveaway! Free Ticket Friday begins at 7am tomorrow! Go here for all the details! CBS put out a GREAT sneak peek yesterday, you really gotta see, Go Under the Dome with Stephen King. The good folks head back to Currie, NC today. The Tammy crew still on Cabbage Inlet doing the huge 4th of July Bash scene with a full cast. Kathy Bates, Melissa McCarthy, Susan Sarandon, Gary Cole, Mark Duplass, and Sandra Oh. Fireworks are supposed to light the night for the scene, but the weather might hold them off until tomorrow night. MULLET ALERT! Eastbound and Down heads downtown. They will be shooting at the Hilton and one of my favorite places to dance Sputnik on Front St. Heads up for tomorrow, Eastbound and Down will be shooting a fun drag racing scene at the intersection of Princess Place Dr. and 23rd Street from 9:00 am to 3:00 pm and intermittent traffic will be allowed through this intersection. SO, if you are flying out, make sure you give your self a lot more time than planned. The City of Southport has set a new record for tourism numbers this year, thanks to film productions taking over the town. The Southport visitors’ website numbers have reached an all-time high as well as those stopping by the office. They say Safe Haven alone has taken them to a whole new level. ANd finally an FYI for ya. Nevada has gotten into the game. Starting Jan. 1, productions that shoot at least 60 percent in-state and spend $500,000 to $40 million there will be eligible to earn a transferable tax credit worth 15%-19% of their in-state qualified expenses up to $20 million. 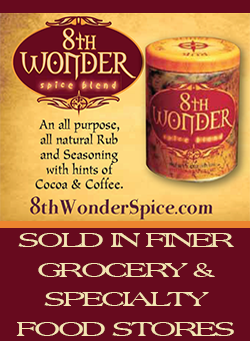 WHAT’S UP IN WILMYWOOD – 06/12/2013 Another star in Wilmywood, another Under the Dome Premiere, Mullet sightings today! While the lucky ones get to go to the big red carpet premiere of Under the Dome, Thursday, June 20th at Thalian Hall and others get to sit lazily on their couches with a big bowl of popcorn in their sweats eagerly anticipating the television premiere on Monday, June 24th, the crew of the show will be working. Well, CBS is really looking out for the guys and gals who have worked their tail off to make this incredible series come to life. The network is giving them a private screening at UNCW on Saturday, June 22nd. No one misses out! I love it! The cast and crew head over to Chestnut today, then back to stage. Eastbound and Down will be shooting at Carolina BBQ on S. College Rd as well as the Cameron Arts Center. Hmmm, quite an eclectic show, n’est-ce pas? The action continues for day 2 of the 4th of July Bash on Tammy. And not only did we welcome Kathy Bates into town, but if you are a Grey’s Anatomy fan, you will love to know Sandra Oh is in town! WELCOME SANDRA! And of course to add all the hilarity, Melissa McCarthy, Susan Sarandon, Gary Cole, and Mark Duplass join the party. Today kicks off the one of many days for one of the HUGE scenes for Tammy. Kathy Bates hosts the big 4th of July lesbian bash! They will be shooting off Masonboro Loop Rd. near the sound. Speaking of sound, tonight their will be a fire works test somewhere between 8pm-11pm, so don’t be alarmed but I wouldn’t bother going to bed early if you live nearby. Melissa McCarthy, Susan Sarandon, Gary Cole, Mark Duplass join Ms. Bates with 100s of extras on hand! The title of this movie is exactly what the creators of the movie poster for the Sandra Bullock/Melissa McCarthy movie are getting. Doing a horrible Photoshop job while taking (what the Hollywood Reporter says) 30 lbs off of Melissa is not exactly what critics and the public enjoy. Read the full article. Eastbound and Down is rolling this week. I don’t see any locations for star-gazing today, but tomorrow’s blog will give you lots of chances to catch Danny McBride aka Kenny Powers around town. Now is the time to be on the look out for Will Farrell as he is the producer for both EBD and Tammy. Hit me up if you see him! We broke the news on Sunny 104.5 yesterday, full details on how to win tickets to the HUGE Under the Dome premiere. Visit Sunny 104.5‘s web site for all the details! Under the Dome is taking a small hop from EUE/Screen Gems down to Castle Hayne Rd. today. WHAT’S UP IN WILMYWOOD 06/10/2013 Another star rolling into town, Under the Dome early reviews in, and more. Happy Monday! Hope you had a great weekend! “the premiere episode did not disappoint and we are definitely hooked in for the summer. We hope you’re getting excited, because “Under the Dome” fans will surely enjoy this adaptation.” ~Andrea Reiher, Zap2It. Under the Dome also made Entertainment Weekly’s Best-of summer TV list. Make sure to listen to Sunny 104.5 THIS WEEK for your chance to win your tickets to the early premiere of Under the Dome with all the stars, writers and producers in attendance, June 20th, Thalian Hall, 6:30pm. Oh, and I guess I should mention they will be shooting on the lot all day, so no star sightings today. Now onto the fab folks of Tammy! May I please be the first to welcome Kathy Bates to Wilmywood! She will finally be shooting her big bash scene. If you remember the casting call about “Lesbians Wanted?” Well, that call is what this week and next week is all about! Huge scene, with tons of Extras. 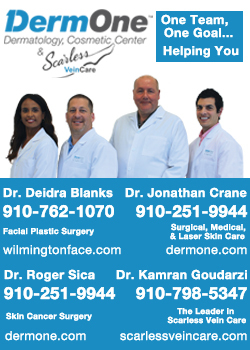 Today, however, they will be shooting at a few places, from driving scenes over the Cape Fear Memorial Bridge to Winnie’s Tavern, on Burnett Blvd. The interior shots at The Carolinian Inn on Market St. are currently underway. You can count on Melissa McCarthy, Susan Sarandon, Gary Cole and Mark Duplass being on set and hilarity to ensue! 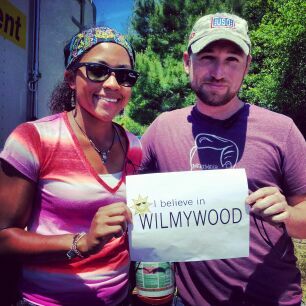 WHAT’S UP IN WILMYWOOD – 06/07/2013 – Reese Witherspoon coming to Wilmywood? 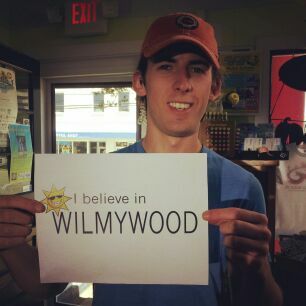 Even with Tropical Storm Andrea, Wilmywood’s pushing through like the postal service…how’s that go again? Through rain, sleet, mudslides and dog poop? Yes, the show must go on. Under the Dome will be…well, under the dome. All stage work for these guys and gals today. The ticket giveaway for the big Local Premiere with the Q&A with Cast, Producers and Stephen King begins next week! Make sure you tune into Sunny 104.5 or visit the radio station web site! Eastbound and Down is scheduled to shoot today. They don’t plan on cancelling for the weather. They will be shooting a montage so they will be all over the place today. It’s Day 25 for Tammy. They move from the Blue Post to the Inn at Wilmington on Market St. Gary Cole continues his awesomeness on set with Melissa McCarthy today. I spent a lot of time with him yesterday chattin’ it up in between takes as I got play Connie the Bartender. Very nice guy and so talented. It was Gary, Melissa, Susan Sarandon and Mark Duplass. They shot one scene all day, and the hilarious ad-libs were awesome, I can’t wait until this flick comes out next summer just to see which takes make the cut! Kudos to WECT for getting this scoop. How would you like to see Reese Witherspoon make her way to Wilmington? It could happen as they had some scouts for the movie, Three Little Words sniffing out Wilmywood. The movie is about a young girl who moves through foster families for years until a volunteer (Witherspoon) helps the girl find her biological mother. They are looking at a September start date. Well, yesterday the Wilmington Film Commission made the official announcement about Sleepy Hollow filming here in Wilmywood. Rumor has it that the UPM for The CW’s One Tree Hill and NBC’s Revolution will now make a lateral move to Fox’s Sleepy Hollow. David Hartley has been working in television since the early ’90s. He also worked on The Young Indiana Jones Chronicles and Dawson’s Creek. Cheers David! Let’s hope the rumors are true! Production begins next month. That just about does it for me; I will have more Wilmywood updates for you Monday morning and every weekday morning at 8:30am LIVE on Sunny 104.5. Got Scoop? Email me: sheila@1045sunnyfm.com. Or message me on Wilmywood’s FB . Or just post your comments below! Until then, that’s a wrap!